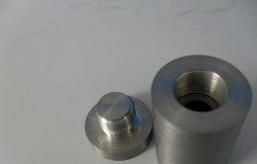 Poly Tungsten (also known as Tungsten-filled Polymer) is a composition of various resins and Tungsten powder which are mixed together through special metallurgical technology. The resins may include ABS (acryloynitrile butadiene styrene), PP (polypropylene), PBT (polybutylene terephthalate), PA (polyamide), PU (polyurethane), and TPE (thermoplastic elastomer), etc.. Perfect radiation shielding performance: Tungsten has comparable radiation shielding ability as lead but is much healthier than lead. 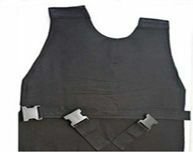 To date, many manufacturers, especially those in medical industry, are trying to replace lead radiation shielding products with Poly Tungsten products. 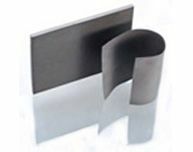 Good flexibility and excellent workability: The Poly Tungsten sheets can be cut or holed with household scissors and formed into shapes with various curved surfaces. Healthy and environmentally friendly: The Poly Tungsten is made of non-toxic & recyclable materials and produces no pollution to the environment.